Cloudy sunrise at mosque. HD time-lapse. hd00:09Cloudy sunset over mosque. HD time-lapse footage. 4k00:37Footage of Jelutong Mosque during sunrise located at Selangor, Malaysia. 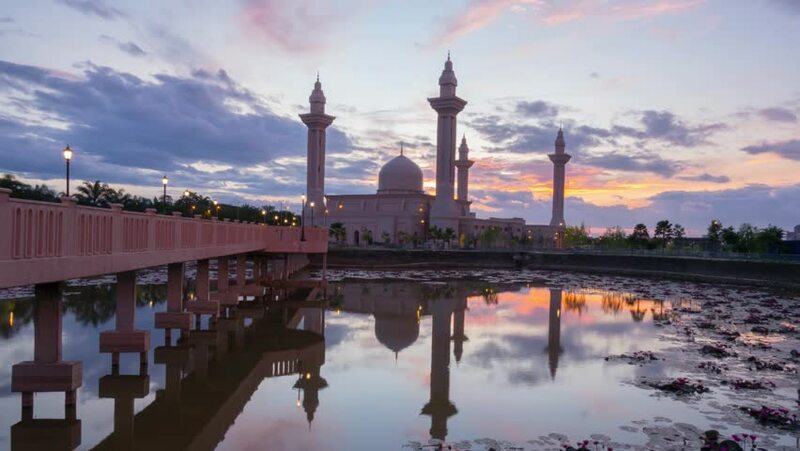 hd00:15Time lapse of a mosque in Jelutong, Shah Alam, Malaysia during sunset with reflection. 4K. 4k00:46Footage of Jelutong Mosque during sunrise located at Selangor, Malaysia. hd00:15KUALA LUMPUR, 28 May 2016: Cloudy amazing sunrise at Bukit Jelutong Mosque . HD Timelapse. 4k00:14Cloudy time lapse at Tengku Ampuan Jemaah Mosque, Selangor.